by Youth Ocean Advocate Ella M.
“Time to get out of the water now, Ella” my mother would yell from our porch across the fence separating our yard and our neighbors. “Just one more minute!” I would yelled back, and then duck my head under the surface once more and swim to the bottom of the deepest part of the pool. I spent many summer days like this – overstaying my welcome in the neighbor’s pool, until my little fingers turned into raisins and my hair irretrievably tangled from spending hours in the chlorinated water. This is where my love for the water began, and I’m not sure I could have guessed where it has taken me now. As soon as I turned twelve, my parents took me and my brother to get certified for scuba diving. We got certified in Alki in the middle of winter on a day it was supposed to snow. I was miserably cold, wet, and could barely move because of the thickness of my wetsuit, but what I experienced that day is something that changed my life completely. Being able to breathe underwater and feel weightless under stories deep of ocean was like nothing I had ever done before. I was surrounded by a world entirely different from my own. I was entranced. On my very first dive, I saw a Giant Pacific Octopus almost as big as me. Although I could only see a few arms of the octopus, I was overwhelmed with fascination. Scuba diving allowed me to get up close and personal with animals many people only saw on television or in an aquarium. Every time I dive I feel at peace. Being in this environment helped me find the beauty in this world. Diving became my outlet. My parents love to travel and so I grew up traveling around the world and experiencing different cultures. I am extraordinarily lucky and grateful to have been to the places my parents have taken me and my brother. Traveling helped me see how, although each place and culture is very unique, the whole world is connected. This understanding was reinforced and expanded once I got my Scuba certification and we began going on dive trips. I have gone on dive trips in Central America, Africa, Asia, and even in our own backyard – the Salish Sea. Every place I have gone, I have learned so much about the animals and cultures in that place and have been able to see some incredible and ornate creatures. Each dive location is so different in terms of what lives there, but almost every place I have been has had something in common: trash. I found trash on the beaches, floating in the ocean, settled in coral or on the ocean floor, even tangled in the fins of turtles and caught in the legs of crabs. After my trip to Raja Ampat, Indonesia I felt I had no choice but to take action to conserve the ocean. Raja Ampat has one of the most beautiful and diverse marine environments in the world, but it is being destroyed due to the way our world has changed since industrialization. There are over 3,000 islands in Indonesia, and you could go to any of them and find trash on the beach. In between dives we rested on the docks of small island villages. I would look off the dock and see children making boats and oars out of the trash floating on the shore. I even saw one child eat a candy bar and then throw the wrapper into the water below. The kids in these villages had grown up literally swimming in garbage, and they saw no problem with throwing one piece of trash in with the rest. This is all they had known to do, and it broke my heart. I went back to where my passion started, the Puget Sound, and decided that I needed to do something to help preserve the ocean that I loved so much. I swore to myself that I would do everything I could to ensure that my future children would be able to see the same amazing underwater environments as I have been so lucky to see. 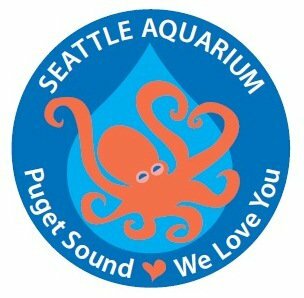 I started by applying to volunteer at the Seattle Aquarium when I saw that their mission was to “inspire conservation of our marine environment”. Volunteering at the aquarium lets me educate others on how they can also take action. It is so encouraging when I see someone have empathy for the animals they see at the aquarium and plan to take action to protect them. I have found that it is extremely important to educate kids on how to take care of the earth because they have power over the future of this planet. Part of the reason I love volunteering at the aquarium is because I get the chance to teach kids about conservation. Because kids are easily impacted, I feel that it is my duty when I am volunteering at the aquarium to help the youngest generations be the most green yet. Every day I am inspired by these kids to continue educating myself how to conserve the earth for the purpose of having an impact and passing that knowledge on. Ocean conservation can be overwhelming, and at first it can be hard to know where to start and how. Nonetheless, I believe that anyone, anywhere, any age can have a positive impact on the environment. The easiest way is to start in your own home. You can help reduce the amount of trash in the oceans by avoiding single-use plastics. Reusable water bottles and grocery bags, and buying products with reusable or recyclable packaging is easy and impactful. Advocacy is a huge part of conservation as well. You can create a climate change club at your school or ask authorities at your school or workplace to provide compost and recycling. Above all, encourage your family and friends to spread the word and join you in these actions. I have learned that as well as using language to communicate conservation messages, I need to be an active role model and reflect habits on kids that positively influence the environment. I must follow my own advice about how to live an environmentally friendly lifestyle in order for this to actually work. In the past year I have worked on making important changes in my own life to help maintain the health of the earth, such as carpooling and becoming a vegetarian. I know now that I have a crucial knowledge of the environment and that it is my responsibility to lead others to a healthier earth.